Finding sources of moisture or even water in your basement can be quite alarming. 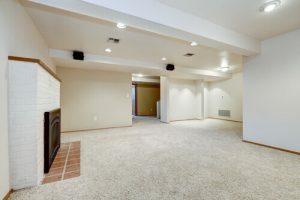 Whether it’s multiple sources of damp seeping in through a new basement, or areas of moisture in an unfinished basement; if left unmanaged, serious damage could be caused to the structure of your home. The longevity of exposure to moisture can often determine how expensive it will be to repair, so leaving damp walls in your basement can be costly. To find out more about basement waterproofing Bath, contact Biocraft South West today on 01793 272085. As specialist waterproofing contractors, Biocraft South West provide unparalleled basement waterproofing across Bath, Bristol and surrounding areas. Using the very best waterproof products and techniques, we can help ensure your basement remains dry and healthy all year round. With our ever-increasing need for space, families and homeowners are turning to basement conversions and renovations as opposed to moving to a larger home. This cost-effective alternative has become popular in recent years due to fluctuations in the housing market. Popular basement conversion ideas have seen many a dreary basement converted into beautiful new kitchens, personal gyms, and even home cinema rooms. At Biocraft South West, we have installed a range of cavity drained membranes that prevent the ingress of moisture into new homes and existing properties. All our waterproofing contractors are specially trained to meet industry standards when it comes to waterproofing walls and other areas of your basement. If you are looking to convert your basement and want to ensure your new basement design lasts, finding a reliable and quality basement waterproofing system is essential. providing waterproofing solutions, our specialist waterproofing contractors will carry out a comprehensive survey of the entire basement area. The initial survey will identify any areas in your basement that are compromised and require waterproofing and damp proofing. The initial survey comprises of a visual inspection of your basements foundation and surrounding walls to identify any areas of damp or water ingress. The specialist survey will enable us to identify the required techniques when waterproofing basement walls and foundations, and there is no one best method, as all basements are unique and are often affected by varying levels of damp and water ingress. For example, newer home owners may require specialist sealants in certain areas of the basement, whilst older homes may require extensive waterproofing solutions. Biocraft South West specialises in damp proofing and waterproofing treatments across a wide range of properties and can see your basement through from waterproofing, to conversion and design. When waterproofing brickwork and other basement foundations, cavity drained membranes (CDM) can be an effective method to protect against water ingress. 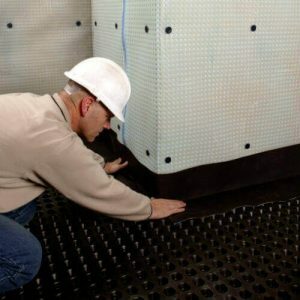 These membranes are installed to walls and floors in your basement, and allow moisture or water to travel behind the waterproof membrane and into a controlled drainage channel. 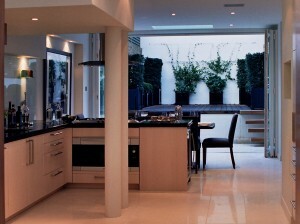 All water exits into a sump and pump system which directs sources of moisture and water away from your home. To find out more about our basement waterproofing systems in Bath, call our team of waterproofing contractors today on 01793 272085. From the initial damp survey to basement waterproofing and basement design, you’re in safe hands with Biocraft South West. As a leading provider of basement waterproofing installations across the South West, all of our waterproofing solutions are carried out to the highest standard, complete with a 20-year guarantee. For more information on foundation waterproofing and other basement waterproofing services, please get in touch with our team today.